Lake Palestine is located about 15 miles southwest of Tyler, on Texas Highway 155, and has a surface area of 25,560 acres. 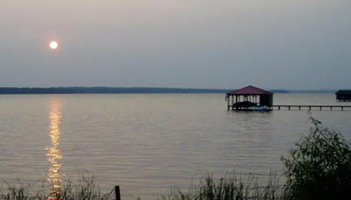 There are numerous waterfront and lakeside homes available on Lake Palestine. You can choose from small fishing camps to major subdivisions and upscale gated communities. Lake Palestine offers recreation and outdoor activities for everyone, with boating, water skiing, houseboating, camping, RVing, canoeing, and fishing all being popular activities.